After yesterday's post, I feel I should probably come to the defence of photography. After all, my brother is a photographer and I have taken in excess of 4,500 photos this year. God, that many? Yup. I just counted on Picasa. Sometimes photography gets a bad rap. A common claim is that it's less artistic than painting or sculpture. Any discussion of 'artistry' is a slippery slope and, in order to prove their point, people often get carried away. 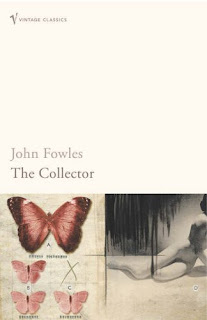 Like: I remember the title character in John Fowles’ The Collector was into photography. He was also into pinning up dead butterflies and incarcerating young women in his basement. The novel was not shy about drawing parallels between the three. And I agree with one aspect of The Kinks' 'People Take Pictures of Each Other': the pursuit of the perfect photo in order to preserve a moment forever is quixotic (especially for amateur photographers) and means the photographer is partially absent from the scene itself. The photo that results does not stand in for a memory, but a remembered fiction. Sometimes I worry that the pictures I take on my travels may be taking me out of very experience I've travelled all this way for. And worse, that they may distort my memory so that in a few years a trip to Turkey will consist of river cruises and staring up at mosaics, and I will lose the unphotographable: the taste of simit, the time I got to use Yavaşça yavaşça with our hopped-up taxi driver, or simply what it felt like to be in that place with four of my closest friends. In some ways, writing can achieve what photography can't. It can record the internal and anecdotal – though committing these things to paper merely presents a post-factum snapshot of your already skewing memory. But photos are useful (ah! the defence at last). Aside from something for show and tell with the whanau back home, I want a stash of photos (along with my written thoughts and the input of those that experienced X with me when we come to reminisce) because I know not to trust my own memory. I know how reckless and random it can be. Smell may be the ultimate memory prompter (a post for a different time, perhaps), but an image runs a close second. I don’t expect my photos to prove or preserve my love for anyone or anything (and, unlike Ray Davies circa 1968, I don't begrudge photos this shortcoming) - - I don’t even set the bar that high for my writing. Yet. I take pictures now on trips. During my little epic trip to Britain in 1977 it never occurred to me to take a camera. What I saw and did is etched in my mind. Very dramatic for me personally. I am glad I never took a picture. But, sometimes it's nice to take photos, so there you have it.